Just print the template and cut out. Fold over the snack filled ziplock bag. Staple on each side. These make a fun surprise for kids at Christmas time. 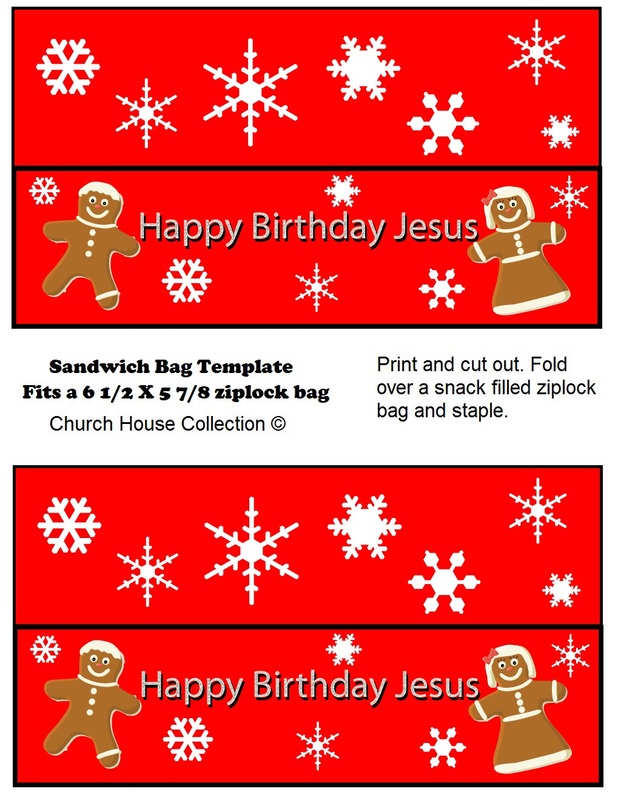 If you have a Happy Birthday Jesus Party then trying make these up for your kids to take home with them. You could also use them for prizes if you play games. Or use them as stocking stuffers for the kids. Add a toy to it and give as a gift for a child that needs a present for a Christmas Party at Church.